Prairiebreak: Heroes of my Habitat! Everyone needs a hero: I happen to have two! I was attracted to horticulture due to my obsession with plants, but people keep finding their way to me and into my heart: in the last two years this extraordinary couple have become two of my dearest friends and professional colleagues. Lynn (on the left) is a keen gardener and her husband Don Ireland (on the right) is a powerhouse "doer": he makes things happen. They live in a condominium complex of over 250 units: Don became president of their homeowner's board, and has helped them save unbelievable quantities of water (and money) by bringing state of the art conservation indoors and out--we're talking MILLIONS of gallons a year. 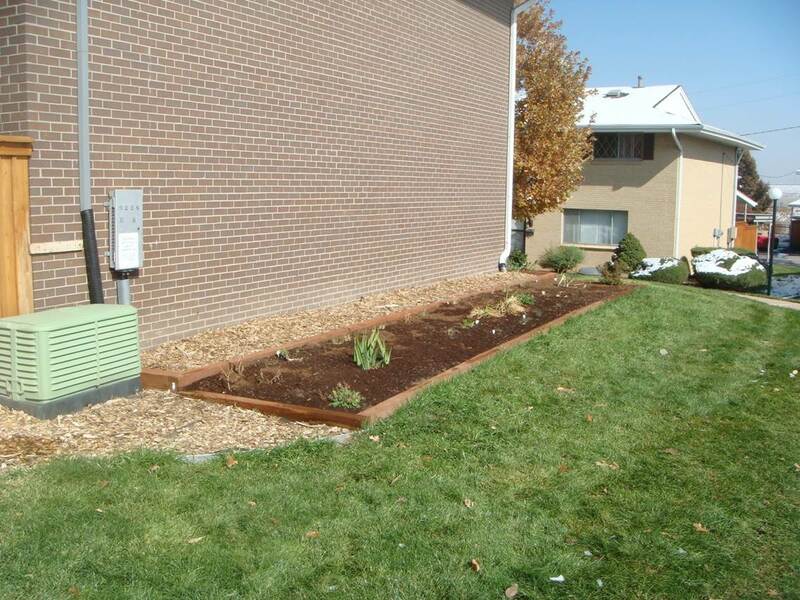 In the process these two have replaced the tired, "clean and green" landscapes of overgrown junipers and threadbare bluegrass with literally acres of spectacular water-wise plantings. I have visited them repeatedly over the last few years: nowhere in the Denver area have I seen more wonderful use of perennials, wildflowers and especially Plant Select plants used in more artful drifts: they have galvanized the enthusiasm of their fellow condominium owners: I hope to lead some tours to their complex in the coming months--email me if you are interested! The Irelands' work has garnered enormous praise, awards and now Don is taking his message on the road: if you have a Garden Club or Nursery in the Denver area where you could use an inspiring speaker, Don is your man: I have included the prospectus he's put together. His work is being underwritten by a local foundation--so you can have him for free (for now anyway). Get to know Don and he will show you how to transform a dull, water-wasting landscape into a stunning habitat not just for birds and other creatures, but for YOU! Free one-hour class offered to groups! We’ve all dreamed about living on our own private refuge somewhere out there. Why not build your own little beautiful getaway right here at home? One that will provide more than your own satisfaction – it will help establish a welcoming sanctuary in our urban desert of asphalt and concrete. A place where birds, butterflies and hummingbirds can find a haven of natural food and shelter you’ve created for them. A place that gives you a smile, a mental and stress-reducing getaway in nature’s beauty, along with the rewards of lower water bills and the satisfaction of knowing you have helped create a Habitat Hero island for many to see and enjoy. Travel with us to this Habitat Hero haven: we’ll show you how as we take this journey together. 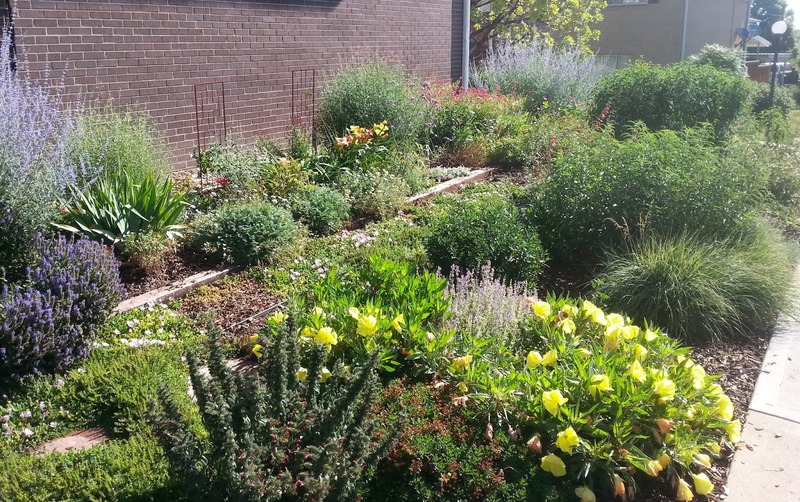 • The need to improve or change landscaping, especially in urban areas (by increasing the use of native and Plant Select-recommended species) to attract more birds, butterflies, hummingbirds and other pollinators that benefit all creatures. • Conserving water, an especially scarce natural resource in the Colorado River Basin. • Improving natural beauty and habitat diversity through Wildscaping. • Offering insight and potential resources to home owners, HOAs and owners of commercial-industrial properties so they can save money through more appropriate use of outdoor areas. Class guide: Don Ireland is the volunteer president of Cherry Creek 3 HOA in southeast Denver and a former professional public speaker from Pittsburgh. Under his leadership, Don helped his Association reduce its annual water consumption by 15 million gallons annually, saving hundreds of thousands of dollars in recent years. The water savings, coupled with a xeriscape and native plants retrofit, has put the HOA in the statewide spotlight the past two years. 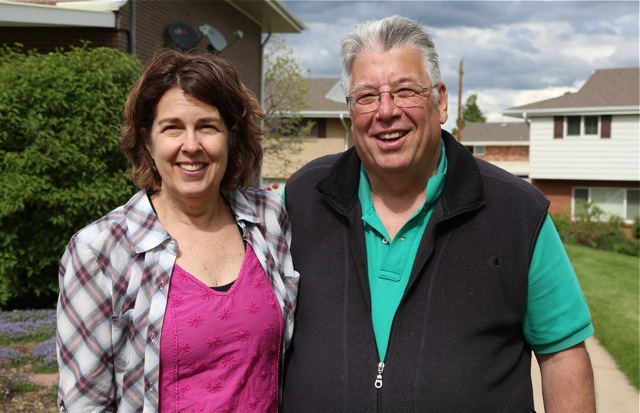 In 2014, Cherry Creek 3 became the first HOA named a Habitat Hero in the state. In 2015, Don and Cherry Creek 3 were the recipients of the Colorado WaterWise Conservation Award, marking the first time a non-water professional organization received the honor. Amazing couple, and what an achievement. Thank you for spreading their message. Panayoti, Thank you for spreading the word about Don and Lynn's marvelous work--they are indeed true Habitat Heroes!--and about Don's talks for the Habitat Hero project and Audubon Rockies. Connie and I are thrilled to have Don continue the work as an HH "evangelist." BTW, it was great to see you at the Tallamy workshop, and I am so glad his message resonated. It is great that the Irelands have reduced water use by residents and in landscapes. I would like to know what is being done to utilize the water that is falling on the properties where they work. I see a down spout, but no rain barrel or rain garden. I know the drier western states have strict laws about capturing water. Still, it would be nice to be told of something being done by gardeners to prevent the damaging floods followed by dry stream beds that are caused by urban development. I believe the Irelands are very much aware of stormwater drainage issues: there are strict (and reidiculous) laws outlawing rainbarrels and water capture in Colorado (although exceptions are made nowadays for some new subdivisions)but since their Association is like a small city, I know they've managed to develop swales and other methods to keep as much runoff as possible on their property. These two are amazing: when you come out to visit, James, I'll be sure to take you there (they're quite close to where I live). Thanks so much Panayoti for spreading the word of a great Habitat Hero Ambassador!